Obtain the power of Enterprise grade Hardware, on a powerful OpenVZ enviroment. 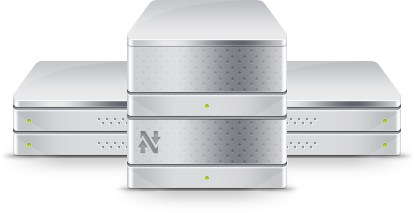 I had a lot of problems with other vps companies, until I found NodeServ. They offer me an excellent VPS service, a high quality-support and a good price too. I recommend it widely to all of my friends! 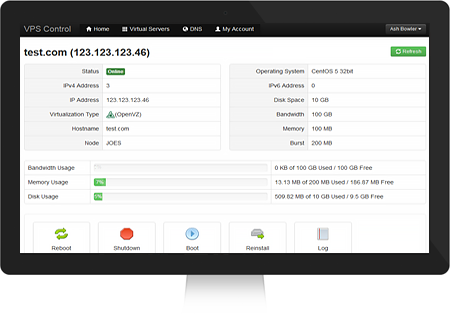 Nodeserv is a great budget VPS provider. They provide stable services, have a great support team, and competitive prices. I recently had a pesky DNS issue with one of my VPS's, and the support team was able to fix my specific issue quickly and properly. Love this company! Start, Stop, Reboot, set rDNS all from one place. Our control panel has what you need, when you need it. You have free range over your server and your server preferences. Change the root password of the VPS at the click of a button. Full power controls inc reboots, power on & off, and kill. View Full Graphs for a plethora of data like HDD, RAM, BW & CPU. We only utilize Enterprise Grade Hardware. Our OpenVZ specifications on our nodes utilize Dual L5639 Xeon Processors with a minimum of 36 GB DDR-3 RAM. We utilize Juniper MX routers in our core and Juniper EX switches in our distribution and access layer. All of our carrier uplinks are delivered over 10-Gigabit optical connections. All services are provisioned instantly upon payment completion. Once a payment is recieved your server will automatically be put online and details sent to you. Difference between OpenVZ and KVM? OpenVZ is a lightweight container that is missing some low level features. KVM is full fledged virtualization. Yes! Just submit a support ticket with our sales department and we'll be happy to assist you. What processors do you use on your nodes? We utilize Dual Xeon L5639 & Dual Xeon x5650's in our VPS nodes. How do I login to my VPS? Once your server is provisoned you can login by clicking the "Access my VPS" button located at the top right hand corner of the page. Can I order more IP addresses? Yes! We require justification for orders more than 3 IP addresses. What OS / template options are available? We offer a wide variety of OS templates including, CentOS, Debian, Ubuntu, openSUSE, Fedora, & Scientific Linux. © 2013-2018 NodeServ LLC. All Rights Reserved.